He was cast off Mount Olympus, by his mother because of his deformity or, in another account, by Zeus for protecting Hera from his advances. As a smithing god, Hephaestus made all the weapons of the gods in Olympus. How To Train Your Dragon. White Baby Dragon. Mint Condition. Black Wings. How To Train Your Dragon. Black Baby Dragon. Mint Condition. ("Geobra");. Greek Gods. " lays any claim with respect thereto. ("Geobra");. 3626 3627 3628 3629 3631 3632 3633 3839 3840 3841. 3577 3482 3567 3449 3455 3317 3329 3651 3652 3653 3654 3659 3665 3666 3667 3668 3669 3674. 3447 3448 3450 3386 3387 3388 3389 3503 3504 3543 3544 3316 3330 3412 3486 3487 3568 3576. 10 x Black Weapon/Sword Holder. Good Condition. ("Geobra");. Mummy & Grim Reaper Duo. Mint Condition. " lays any claim with respect thereto. ("Geobra");. 5 x Long Battle Swords. In mint condition. ("Geobra");. Ares is the Greek god of war, son of Zeus and Hera. He was cast off Mount Olympus, by his mother because of his deformity or, in another account, by Zeus for protecting Hera from his advances. As a smithing god, Hephaestus made all the weapons of the gods in Olympus. 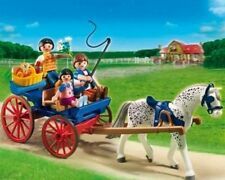 Playmobil 5266 Summer Fun - Children's Disco -Retired- New in Box!! 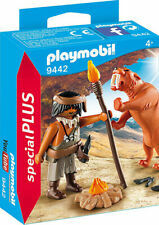 The first Playmobil toys were designed by Hans Beck in 1974 in Germany for the company geobra Brandstatter. The Playmobil toys were introduced to the public in 1975, and they soon became a household name, providing a young child aged 4 and older hours of imaginative playtime. Playmobil toys are realistic figures that come with recognizable accessories from both historical and modern time periods. What are the themes in the Playmobil line? Ghostbusters: Several sets are available that feature the characters from the remake of the "Ghostbusters" movie. Dragons: Dragons from the television series "Dragons," inspired from the movie "How to Train Your Dragon," is a popular theme. City life: Modern buildings like hospitals, schools, and libraries are featured in this theme. NHL: Team specific and general hockey sets and characters are available in this set. History: Many sets from the Egyptian and Roman eras are featured in this theme. What advent calendars are in the Playmobil Advent series? There are many Playmobil holiday sets released every year. Some of the sets are advent calendars that feature surprise toys for a child to open each day of the 24 days before Christmas, some of which are holiday-themed playhouses and sets. 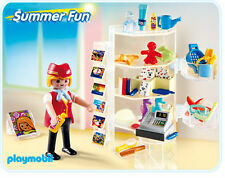 Each year, Playmobil releases several holiday advent calendars that are targeted toward boys or girls. They also produce a more traditional holiday advent calendar that features a Santa Claus. The advent calendars previously came with small individual boxes for each day for the child to open, but they changed and are designed with windows that open, revealing the toys hidden behind the window for that day. What other sets are in the Playmobil series? Playmobil has sets that mimic everyday life like the Mother With Twin Stroller City Life, the Motorcross Driver, and Holiday Villa. There are historical sets like the Crusader figures, ancient Greek gods, and the Romans. Some represent careers like an archaeologist at his excavation site and a police women or a police man on a motorbike. Content provided for informational purposes only. 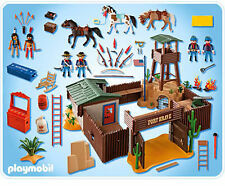 eBay is not affiliated with or endorsed by Playmobil.